The wallet is crafted entirely in quality black leather and stamped with an engraved pattern of the Alchemist skull holding a black rose between its teeth. Attached to the wallet is a 14 inch long steel chain which connects to a leather belt loop adorned with a cast pewter skull. Our Aventurer Bag is perfect for a trip to the faire or on your airship. Roomy enough for your feast gear or your goggles and other Steampunk accessories. This sculpted Black Leather Bat Purse shaped purse is sure to make a statement. This Bat Purse features a zip-top and curb chain strap, ensuring that it adds both style and function to any ensemble it is paired with. This real leather satchel makes an excellent bag for carrying all of your necessities when you are on the go! A 3D, gunmetal pewter Skully emblazons the front of the Black Leather Skully Satchel, offering instant attitude. This Empire Intrepid Valise is a heavy-duty, adventurers shoulder bag hand-made from vintage cotton canvas and leather, with concealed zipped compartments and various pockets for mobile phone, pens, and more. High-flying adventures shoulder purse of vintage cotton canvas and leather, the Empire Captainette Purse has an adjustable strap and a style that makes it perfect for adding detail to any ladies gothic or steampunk look. Gentleman officer's belt pouch of vintage cotton canvas and leather, with mobile phone and pen pockets. The Empire Aviator Pouch is a great bag to have, allowing you to carry your things in steampunk style and ease. For girls with a gothic heart, this vintage style black leather purse features a contrasting washed-black canvas heart. The Damned Love Purse includes a zip-top opening and an adjustable strap, blending function and beauty. This Immortal Flight Messenger Bag features artwork by Anne Stokes. Durable, and able to hold tablets and other small electronic devices - or books, folders, and school supplies. This Dragon Beauty Messenger Bag features artwork by Anne Stokes. Durable, and able to hold tablets and other small electronic devices - or books, folders, and school supplies. This Dragon Egg Messenger Bag features artwork by Anne Stokes. Durable, and able to hold tablets and other small electronic devices - or books, folders, and school supplies. This Dragon Dance Messenger Bag features artwork by Anne Stokes. Durable, and able to hold tablets and other small electronic devices - or books, folders, and school supplies. The Wing Commander's Attache Pouch is a rugged and effective bag. It was designed to be used by a reckless, duty-bound officer with adventure written in their genes. The bag is made from quality vintage canvas and makes for a great all-purpose bag. This Siren's Lament Messenger Bag features artwork by Anne Stokes. Durable, and able to hold tablets and other small electronic devices - or books, folders, and school supplies. This Watcher Skull Messenger Bag features artwork by Anne Stokes. Durable, and able to hold tablets and other small electronic devices - or books, folders, and school supplies. This Steampunk Assassin Messenger Bag features artwork by Anne Stokes. Durable, and able to hold tablets and other small electronic devices - or books, folders, and school supplies. This Water Dragon Messenger Bag features artwork by Anne Stokes. Durable, and able to hold tablets and other small electronic devices - or books, folders, and school supplies. This Spirit Guide Messenger Bag features artwork by Anne Stokes. Durable, and able to hold tablets and other small electronic devices - or books, folders, and school supplies. This Lost Love Messenger Bag features artwork by Anne Stokes. Durable, and able to hold tablets and other small electronic devices - or books, folders, and school supplies. This Mystic Aura Messenger Bag features artwork by Anne Stokes. Durable, and able to hold tablets and other small electronic devices - or books, folders, and school supplies. This Silk Lure Messenger Bag features artwork by Anne Stokes. Durable, and able to hold tablets and other small electronic devices - or books, folders, and school supplies. This Snowy Owl Messenger Bag features artwork by Anne Stokes. Durable, and able to hold tablets and other small electronic devices - or books, folders, and school supplies. 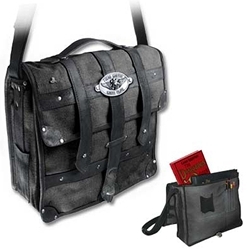 This Steampunk Avenger Messenger Bag features artwork by Anne Stokes. Durable, and able to hold tablets and other small electronic devices - or books, folders, and school supplies. This Steampunk Aviator Messenger Bag features artwork by Anne Stokes. Durable, and able to hold tablets and other small electronic devices - or books, folders, and school supplies. This Take to the Air Messenger Bag features artwork by Anne Stokes. Durable, and able to hold tablets and other small electronic devices - or books, folders, and school supplies. This True Love Never Dies Messenger Bag features artwork by Anne Stokes. Durable, and able to hold tablets and other small electronic devices - or books, folders, and school supplies.